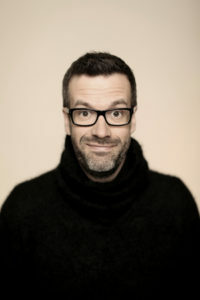 The DIY Week Awards 2018, taking place on Friday May 11 at the Park Plaza Victoria in London, has announced it will be hosted by major British comedy talent, Marcus Brigstocke. On television Marcus launched The Late Edition, the late night BBC4 answer to The Daily Show with Jon Stewart. He has hosted and appeared as a panellist on Have I Got News For You, and he was the host of I’ve Never Seen Star Wars on both radio and TV, a regular on panel shows from QI to Just A Minute, and has appeared on Question Time, Newsnight, and This Week. On Radio 4 he is the angry youngish man on The Now Show, with Punt and Dennis, and his own show The Brig Society. He has written and performed several series of Giles Wemmbley-Hogg Goes Off and The Museum Of Everything. He also played Packer, Head of Unthinkable Solutions in Think the Unthinkable. A fixture at the Edinburgh Fringe, usually with two shows, Marcus’ live performances sell out across the country. On the big screen he has appeared in Love Actually, Piccadilly Jim, Telstar: The Joe Meek Story, and Beyond The Sea. He played King Arthur in the hit Monty Python musical Spamalot. Tickets can be purchased via a secure online booking form available here.